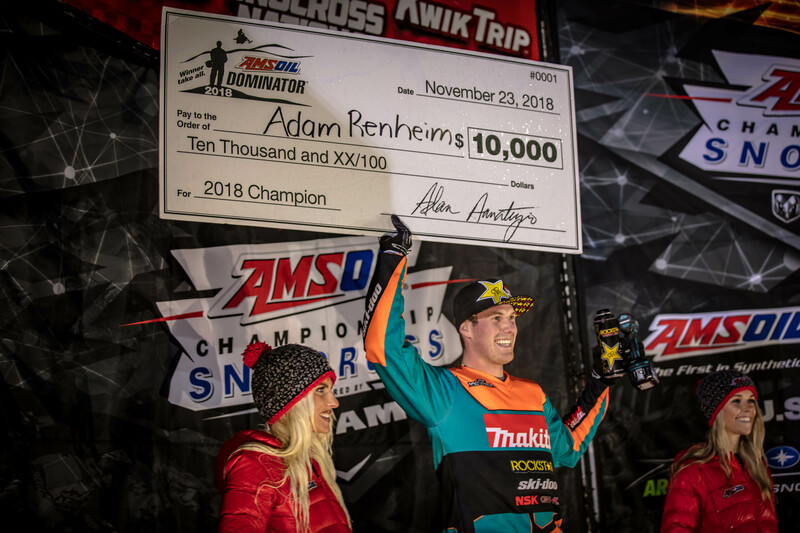 Congratulations to Adam Renheim and Warnert Racing for winning the Dominator last weekend at the AMSOIL SNOCROSS NATIONAL Presented by Kwik Trip in Duluth, MN. Despite all the rainfall, Renheim kicked the season off with a big win aboard his Makita Tools Rockstar Ski-Doo earning him a $10,000 check! Warnert Racing took home a lot of hardware from Duluth! Francis Pelletier finished second in the Pro Lite Class and Tim Tremblay and Francis Pelletier both finished third in their respective classes. On to Jackson next weekend!